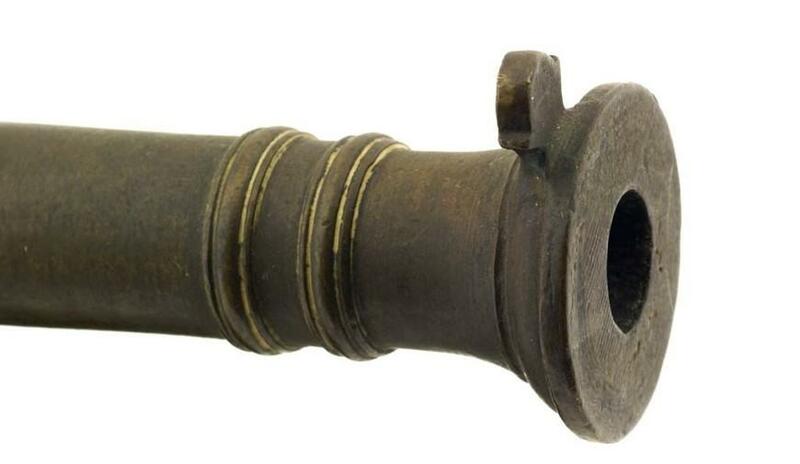 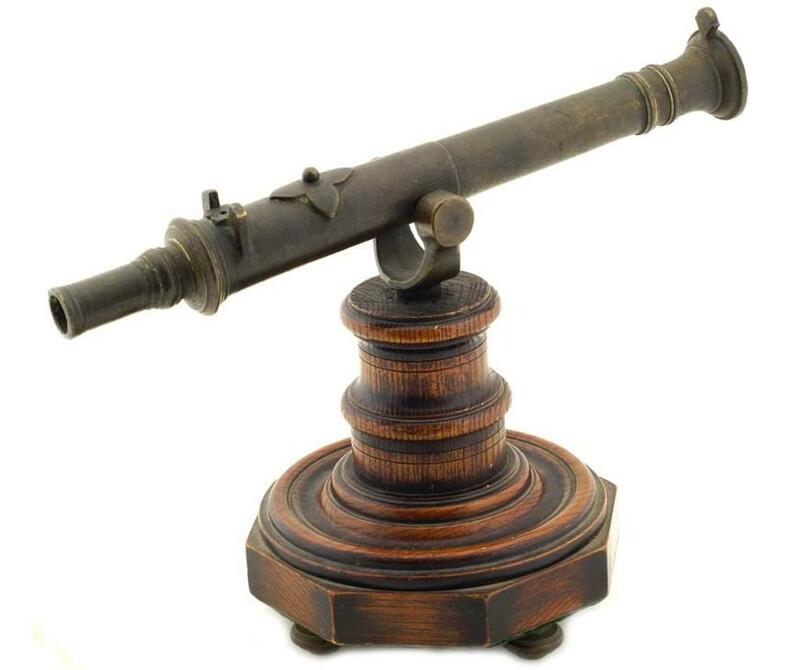 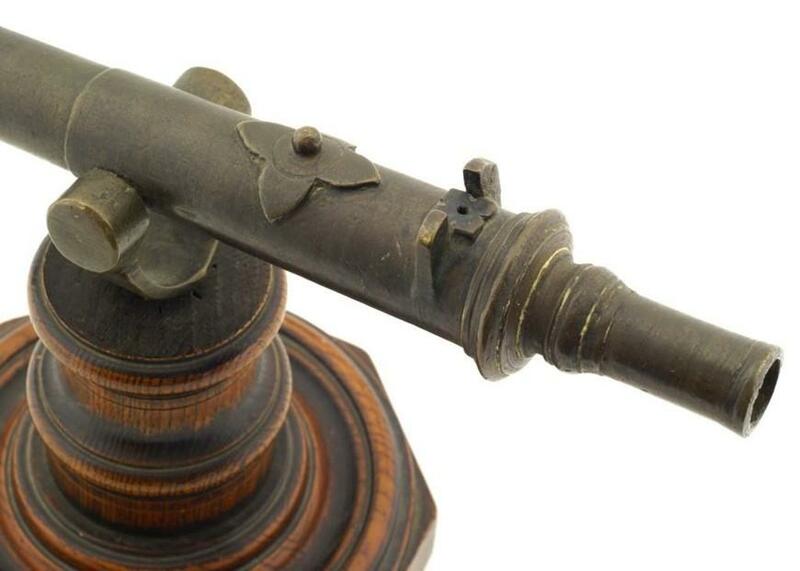 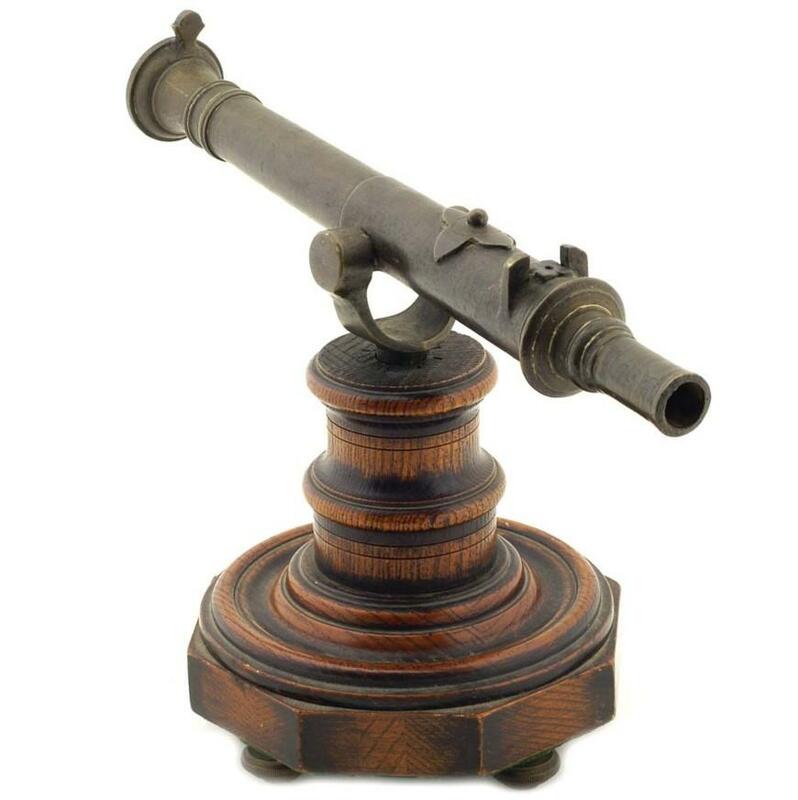 Small Antique Philippine Bronze “Lantaka Swivel Gun”: .65 calibre percussion, single shot, 10" smooth bore barrel, with flared muzzle, moulded bands, rosette rear sight and bronze gimble. 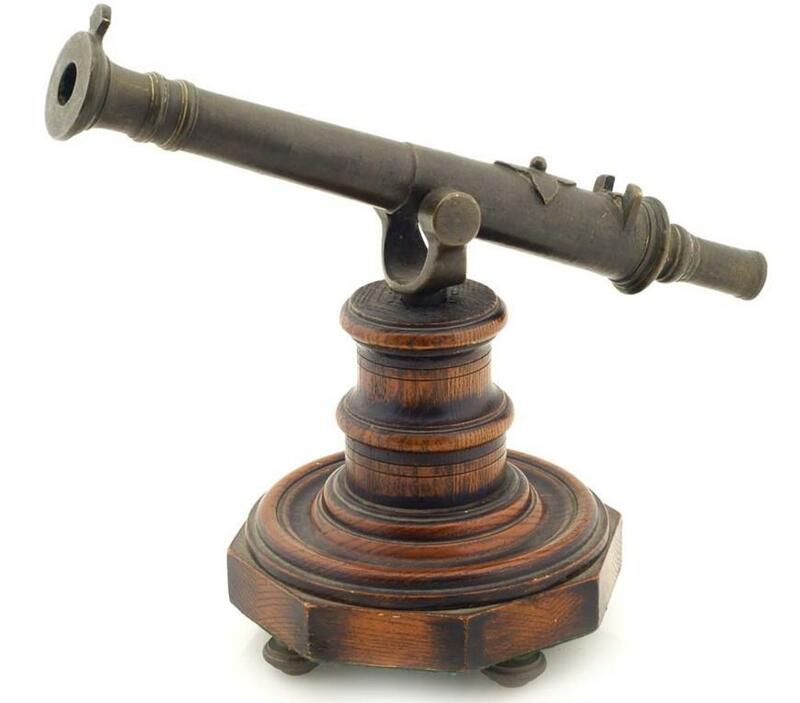 Overall length is 13-1/4 inches. 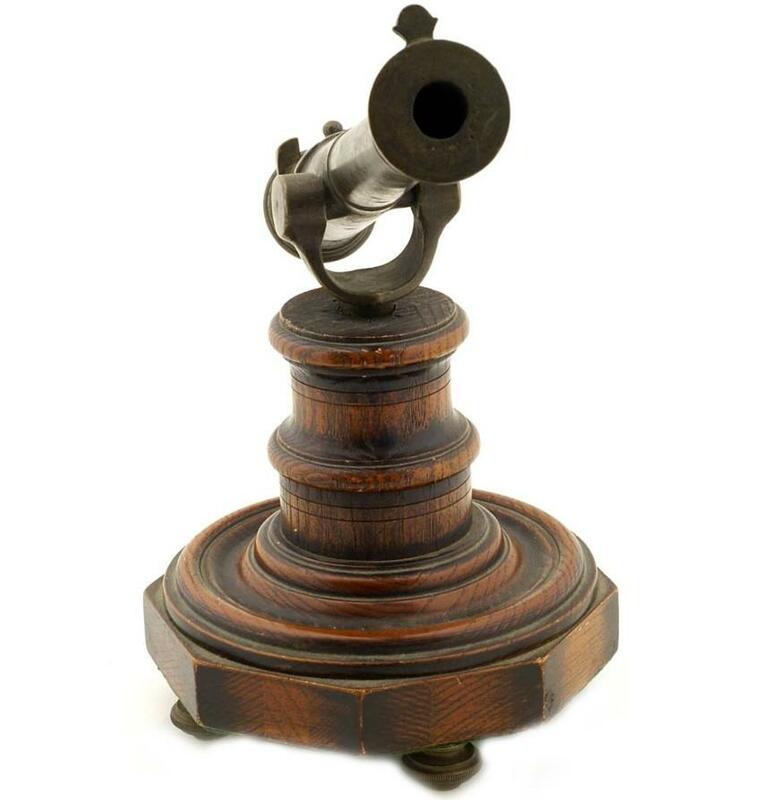 Mounted on a moulded oak desktop plinth.